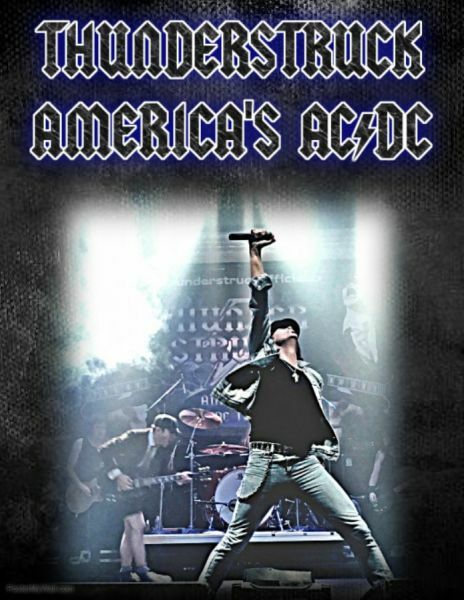 The best AC/DC tribute returns for a night of the most high energy and musical showmanship. Recreating the "Thunder From Down Under" throughout United States ...Thunderstruck is constantly pleases every crowd, playing the songs you know and love from all eras of AC/DC.Thunderstruck strives to stay true to the AC/DC way, obsessing over the tones and structures of each song's studio and live versions, also using all the gear necessary to bring the power and entertainment of a genuine AC/DC show. This is why Thunderstruck's High Voltage Rock n' Roll show plays to sold out crowds at the Wildey Theatre and across America.